Andrew is a fifth generation Washingtonian and was born and raised in Seattle. The son of a heavy equipment operator for Seattle City Light and a nurse at Harborview, Andrew believes that Seattle needs to protect, serve, and advocate for all of its citizens. A proud graduate of Seattle Public Schools, Andrew attended the Center School in the heart of District 7 before embarking on a career in public service. Andrew was unanimously appointed by the Seattle City Council to serve as one of the youngest ever Seattle Human Rights Commissioners where he advocated for people facing housing and employment discrimination and supported the creation of a new Commission for people with disabilities. He served as Campaign Manager for Nick Licata’s successful 2009 re-election campaign and was appointed by the City Council to serve on the Rental Housing Inspection Stakeholder Committee. He previously served on the executive board of the 36th District Democrats and currently serves on the board of Graduate Washington, an organization dedicated to bipartisan advocacy for the funding of higher education. After attending law school on a Truman Scholarship, Andrew chose a career serving the people of Seattle as a prosecutor in the Seattle City Attorney’s Office. His practice holds drunk drivers and property thieves accountable while recognizing the importance of diverting low-level offenders to participate in community-based diversions focused on treatment, housing, and mentorship as an alternative to incarceration. As a city prosecutor, Andrew is a proud fourth generation union member, currently organized under AFSCME Council 2. 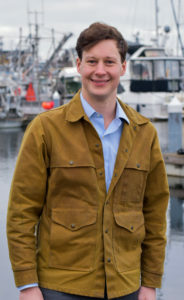 Andrew holds a bachelors degree in history and political science from the University of Washington, a masters degree from the London School of Economics, and a law degree from the University of California, Berkeley, where he served as a union student instructor organized under UAW Local 2865, first teaching property law and later public policy for former Secretary of Labor Robert Reich’s Wealth and Poverty Class. Andrew is an avid skier, season ticket holder for the Seattle Opera and a member of the Center for Wooden Boats. He lives in an historic apartment building in lower Queen Anne.